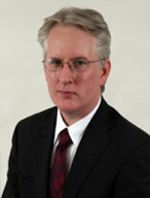 John H. Hamilton is an Assistant Professor in the University of Arkansas at Fayetteville Mechanical Engineering Department. Previously, worked as a full-time consulting engineer assisting professionals in both industry and the legal community. Has worked in industry as a manufacturing and plant engineer and been responsible for the safety of an industrial plant with over 300 employees. Mr. John Hamilton provides consulting to industries, individuals, and attorneys in a wide range of safety and machine design issues. Examples include agricultural and industrial machine guarding cases, and agricultural and industrial safety systems. Mr. Hamilton provides services on a limited basis to industries, individuals, and attorneys who need assistance in Industrial safety and machine design. Industrial Machine Guarding; Injection Molding Machines. Senior Engineer, Ryan Engineering, Inc.